If you are looking for a quick beach escape on a sunny day, Point Bishop is the place to remove you just enough for a relaxing day in the sun. While the trail has its ups and downs along the Gastineau Channel, the overall elevation is fairly level. 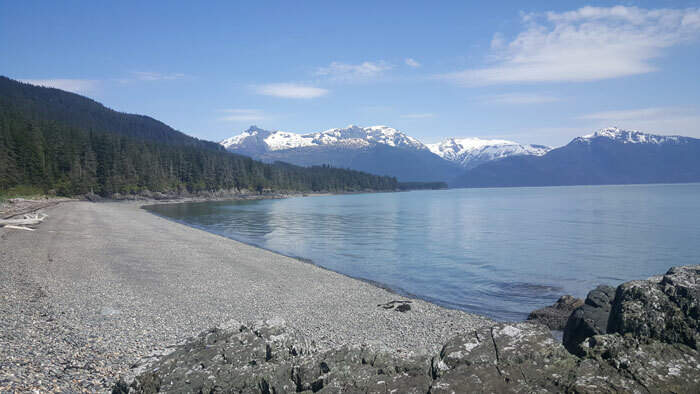 Often muddy and rooted through the forest, there is a large selection of beaches to choose from looking south at Admiralty, the coastal mountains, or west at Douglas Island. The trail is just short of eight miles long and begins where the southern road toward Thane ends. Cliffs and old mining explosives storage along the way make for an impressive mix of history and natural beauty. After about a mile and half there is a branch down to DuPont Beach which is a popular fishing area during the summer. 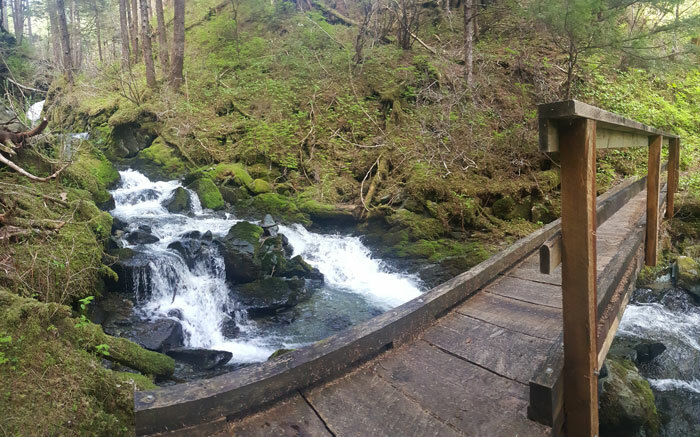 The higher trail continues on to Point Bishop and leaves state land before entering Tongass National forest. 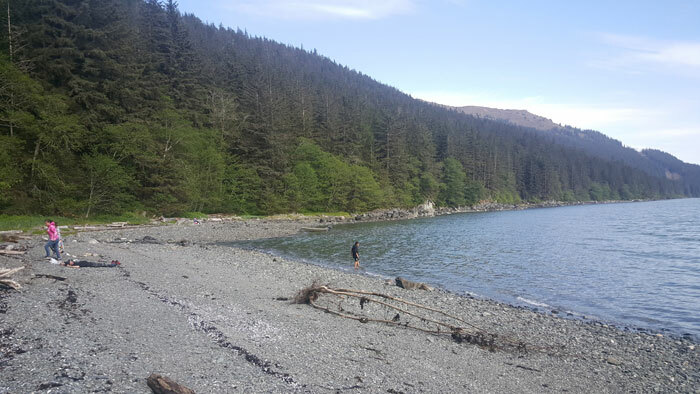 While most of the trail contains stretches of eroded side slope, the beaches are broad and level areas prime for lying in the rare sun of Juneau. That being said, the trail is actually one of the better paths around Juneau for avoiding the rain. The thick forest canopy for the whole length allows for a nice escape from the precipitation. Even during the winter months the trail tends to stay moderately clear due to its proximity to the ocean and can be a beautiful escape from the dark winter cover.